This article first appeared in haven, The Edge Malaysia, on Issue #80 August + September 2016. For Christopher H T Wong, who has been running a successful furniture business in Miri since the early 1980s, the opening of a second branch in Bandar Utama, Petaling Jaya, was prompted by necessity. A weakening oil and gas industry in Sarawak saw his regular customers in Miri move to the peninsula. “For the past few years, our sales in Miri have been affected by a large number of customers, mostly expatriates from the oil and gas industry, moving back to Kuala Lumpur due to the drop in oil prices, which affected their employment at the oil rigs,” says Wong. 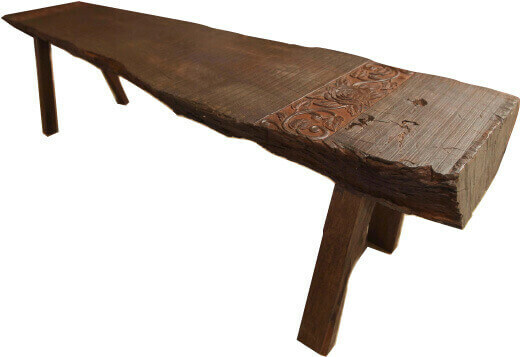 According to Wong, the teak and belian wood furniture that is now the mainstay of the business was a natural progression from smaller home décor pieces. 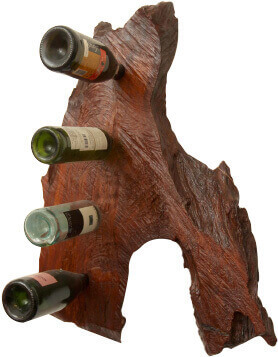 “I started off selling small home decorative items and saw that there was a market for teak furniture. Some countries have banned the export of teak wood and furniture, so I wondered, ‘Why not start using our own resources?’” he says. 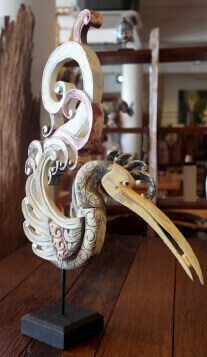 The sturdy quality of teak is well known while belian also has many redeeming traits. 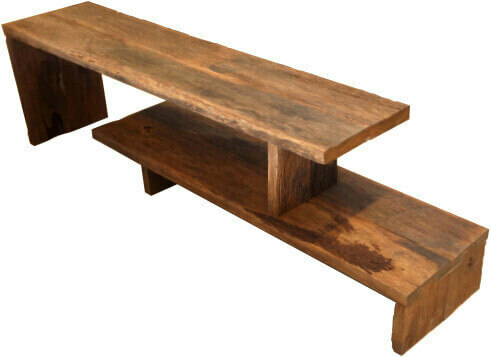 Wong says belian wood furniture is almost maintenance free and is recommended for both indoors and outdoors. “You just need to pick the right design that suits your needs and lifestyle. Belian is lifetime furniture,” he adds. The outlet, located in business area Oasis Square that is just outside Bandar Utama, is packed to the brim with furniture and home décor items. Everything is neatly arranged with just enough room for customers to wander around and admire each piece. The store has a circular design and just when you think you have reached the end of the shop, a new section beckons from around the corner with more to offer. Artisan Gallery occupies the entire first floor of the building while the second floor houses a storeroom and a workshop, which is where after-sales services are provided. 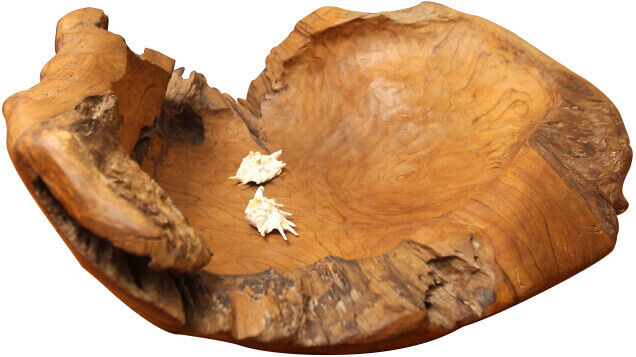 Artisan Gallery specialises in contemporary wooden furniture, predominantly made from teak and belian wood. 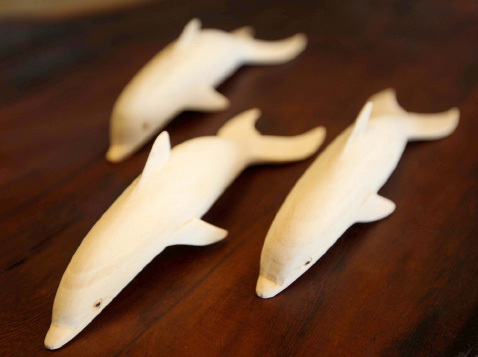 The full portfolio ranges from small ornaments like a pod of dolphins carved from wood to large pieces like 10-seater dining tables and four-poster beds. Accessories, such as mirrors, shells (either on their own or strung together to form a larger piece), wine holders, colourful animal-themed carvings, candle holders, coat hangers, centrepieces and an assortment of flowers made from dried banana trunks or papier mâché, punctuate the otherwise wood-filled space with vibrant and playful colours. 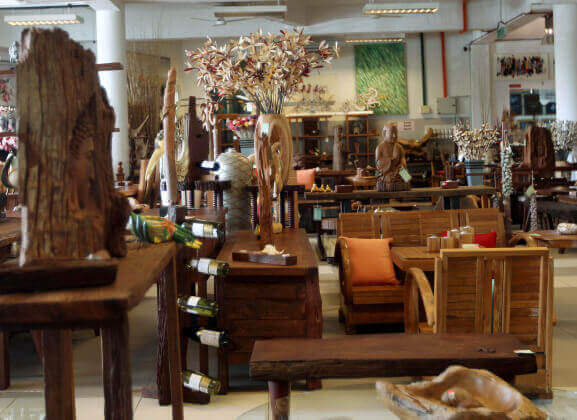 Large items like dining tables, beds, television consoles, benches, daybeds, bar stools, cabinets, shelves and outdoor furniture take up most of the space in the store while wood carvings — galloping horses, hornbills and monkeys — feature prominently. 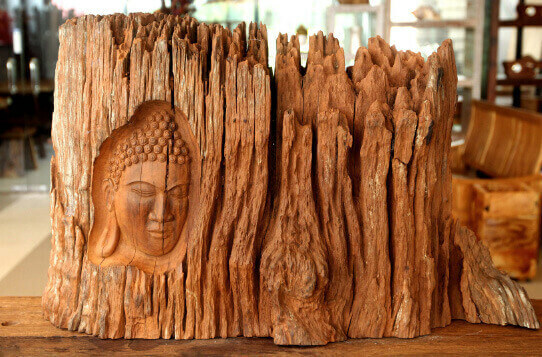 The face of Buddha carved on an old tree bark greets patrons at the entrance of the store and Wong tells us that this is one of his bestsellers. There is a separate section at one end of the store that displays a selection of framed paintings by local and international artists. “It is important to me that every item is handpicked. All the belian wood products were designed in-house and later produced in our own factory,” says Wong. Those that are not were obtained by Wong from various sources in Sarawak and Indonesia. Customers also have the option of placing an order for custom-made furniture.